Always prepare well before starting a job by removing all potential hazards. Dispose lying around wiping rags, cleaners and even open cans of paint to prevent air contamination. Check if all your material is properly working and installed. 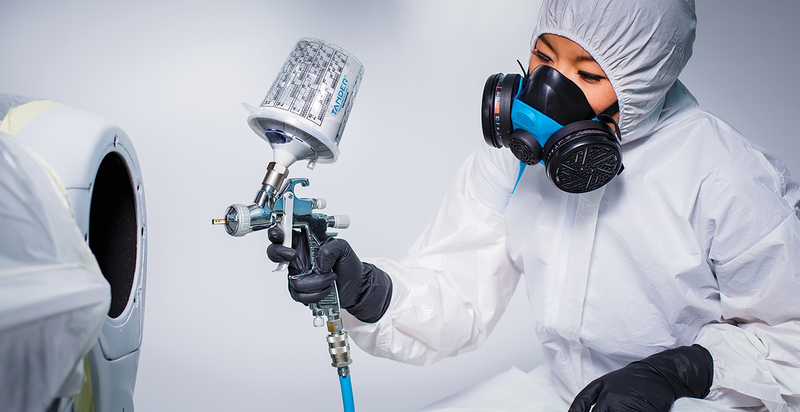 If working in a spray booth, make sure the ventilation is working properly and the filters are still clean. After your job, follow the supplier’s instructions for cleaning your materials. The use of personal protective equipment is necessary when you are exposed to hazards that can’t be eliminated or controlled in any other way. If possible, always eliminate the hazard before exposure, this because PPE materials only form a barrier between you and the hazard. When you pick an incorrect type of PPE you risk exposure to this hazard and you may get harmed. While picking the right PPE gear, you need to start by identifying the possible risks. Make sure you are well aware of the properties of the products you work with and the hazards that may occur in the space where you do your work. Always check the Material Safety Data Sheets (MSDS) of the used products to find out if products are lightly flammable, might cause respiratory issues or might be bad for your skin. Know their potential hazards and handle these products with care. Take the necessary safety precautions before starting your job. Personal protection equipment is subdivided into three classifications. To make sure you pick the right protective equipment, you need to determine the risk you want to protect yourself from. The overview below gives an indication of the risk categories. Category 1 Basic PPE protects against minimal risks. Certified through: Internal check by supplier. Category 2 Mediocre PPE gear protects against medium complex risks. Certified through: Type examination and comes with a declaration of conformity. Category 3 Complex PPE protects against risks that can cause irreversible risks to your health. Certified through: Testing by a certified inspection body and comes with a declaration of conformity. Personal Protective Equipment fits a wide range of products, suitable for all kinds of tasks. What type of PPE is necessary for job can be determined by your risk analysis. Depending on your task, choose the right personal protective equipment. If you are unsure, ask someone with more product knowledge what PPE materials to pick or contact the supplier of the products. Tander offers a range of personal protective products suitable for various jobs. 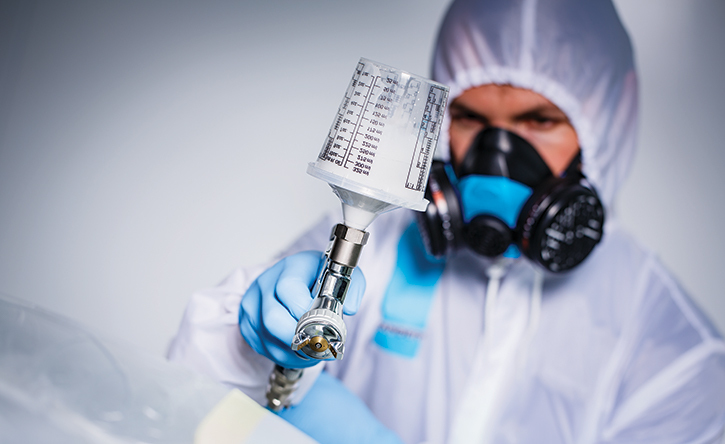 Our Nylon Paint Suit combined with the Excellent Nitrile Gloves and Disposable Respirator gives you full protection while working with paints and solvents. All our products are developed with specialists to make sure we meet the requested requirements and comply with the necessary regulations. We thrive in developing products that are comfortable, convenient and, most importantly, guarantee your personal safety throughout your working day. Always make sure you use and maintain your PPE materials in the correct way to guarantee optimum protection. Consult the instructions provided by the supplier for more information and tips. Make sure you protect yourself in the correct way to keep healthy and enjoy your work and life!